Reading through Fredric Jameson’s “Valences of the Dialectic” there is a very interesting discussion of Jacques Derrida’s “Spectres of Marx“. I should preface this by being very clear that I haven’t read Derrida’s book, and that I have not particularly enjoyed the Derrida that I have read. That said, it prompts a fascinating section in Jameson (chapter 4 “Marx’s Purloined Letter”) on the dialectical nature of change. He makes the concept of “spectrality” central to the description of dialectics. The reference in the title is of course to the famous opening words of the Communist Manifesto: “A spectre is haunting Europe” (Marx 2010, p.19). There is plenty of depth in Jameson’s chapter but the key point for me is the connection between past, present, and future. In any analysis of a current situation it is possible to see the spectres of both the past and the future. Change is inherent to any given ‘present’. It does not exist in isolation, but is an expanded view that takes both in what went before and what is to come as fully part of what is. This is consistent with Bertell Ollman’s description of Marx as studying history “backwards”. Precondition and result here become part of the same process of becoming extended to encompass their interaction over time (Ollman 2003, p.117). From the standpoint of the present, we can look back into the past to see the necessary preconditions, those things that had to be in place for the movement of history to arrive just here. This is not to imply determinism, other choices were possible in the past that would have lead to a different present. But by viewing this as a single process from the standpoint of what did in fact happen we can better understand both past and present, and perhaps also the future. This same concept can been in elsewhere in Marx’s work. For example in Marx’s description of the circuit of capital, what David Harvey highlights as “value in motion”. Wealth becomes capital in the movement from money, to means of production, to a stock of commodities on the market, and back into money. Each point is a different facet of the same whole as it moves through a lifecycle. What Jameson describes (through Derrida) as ‘spectrality’ is therefore central to the understanding and use of dialectics. As a thought process this is useful for more than just reading Marx. For example I’m reminded very strongly of a piece by Jackson Pollock called “Summertime Number 9A” from 1948. An initially random-seeming pattern of drips begins to look like a sequence of frames showing a dancer in motion. At the same time you are aware that you are seeing the frozen movement of the artist himself as he created the piece. In both senses then this demonstrates in art the ‘spectrality’ described by Jameson. This is then a central concept for dialectics. I guess I’d better get ready to plough through that book by Derrida. This entry was posted in Philosophy and tagged Dialectics, Philosophy on December 1, 2018 by 4harrisons. This is a short post to capture a superb passage from “Valences of the Dialectic”. I’m not going to add much commentary to it, but will rather quote it at some length. Jameson is discussing Lukacs’ concept of “totality”, and in particular the post-modern turn which dismisses it as associated with Stalinism and in general the perceived destructiveness of totalising visions of the future when used as drivers for political action. Jameson describes how modern (“late”) capitalism uses the concept of “pluralism” to express the complexity of social relations and to envelop what had formerly been disruptive non-conformist movements within the social apparatus. This is fascinating framework within which to understand how ‘identity politics’ has become a mechanism for the co-option of dispute and its incorporation into ‘permitted’ discourse as part of a wider Marxist thought process. This facilitates the neutering of dissent, and thereby events such as the Brexit referendum result and the election of Donald Trump. More traditional channels for discontent have in other words been not blocked but diverted, opening the window for the unexpected. To mix metaphors, what the protectors of the status quo haven’t got to grips with is that in the context of class struggle closing one avenue of dissent is like squeezing a balloon – all that happens is that the challenge pops out somewhere else. This provides philosophical depth (and a link to Lukacs’ Hegelian Marxism) to the theory of “spirits” of capitalism as a means to incorporate and control challenge and dissent expressed in Boltanski and Chiapello “The New Spirit of Capitalism“. This entry was posted in Philosophy and tagged Dialectics, Lukacs, Philosophy on November 20, 2018 by 4harrisons. “Modernity” is therefore a world view focused on progress, one in which things are getting better, which looks to the future and is actively seeking ways of moving towards it. In a brief segment at the end of her book “The Origins of Capitalism: A Longer View” Ellen Meiksins Wood characterises this as developing from the Enlightenment based on increasing “rationalisation”. Modernism therefore implies belief in an overarching view of the world that defines how progress happens and the mechanisms that drive change. Throughout much of the twentieth century at least two world views were available that might be thought of as upholding this view of progress, including both Soviet Communism and post war liberal democracy. Boltanski and Chiapello in their book “The New Spirit of Capitalism” similarly describe a postmodernist approach as viewing the state of the world as “chaos unamenable to any general interpretation”. (Boltanski & Chiapello 2018, p. 345). This loss of belief in “the future” means the loss of a set of criteria against which to judge things. The old analyses are no longer valid, and therefore no longer provide a guide for future actions. Politically this shift was one of the factors underpinning the move of left wing parties from socialism to a “third way“. If capitalism is not progressing towards it’s eventual supercession then the best that can be hoped for is to reach an accommodation with it. With collapse of Soviet communism and the perceived irrelevance of Marxism, the left lacked any overarching analysis of the shape of the world, and therefore any view of what it was ‘for’. The only rational choice left to progressives in a post-modern world is working out how to make capitalism a bit nicer. The end result has been a consensus of support across the political spectrum for a neo-liberal economics that has delivered a world which is increasingly unequal, polarised between asset holders and non-asset holders. There is a growing feeling of dissatisfaction, particularly among the young who have been disproportionately impacted by the implementation of nearly unopposed capitalism. But without a strongly organised left articulating an alternative view of what is possible, that dissatisfaction has nowhere progressive to go. That doesn’t mean it disappears. Rather it migrates to political movements which are prepared to critique the current state of affairs and offer an explanation, even if it is not a rational one. In recent years this has meant Trump and Brexit. In other words, the progressive left needs to recover its belief in the modern and find the overarching analysis of the world to underpin a call to action, and which can then be used to create a coherent manifesto for practical policies for change. I think there are some signs of this analysis developing but there’s still a long way to go. This entry was posted in Philosophy and tagged Philosophy, Politics, Post-Modernism on August 7, 2018 by 4harrisons. I have read some Alain Badiou before, but his short book “Ethics, An Essay on the Understanding of Evil” seems to me to be a good basic introduction and I wanted to capture some basic notes on the key elements as I see them for future reference. One caveat, I am no Badiou scholar, and my background in philosophy is ropey at best. So if a real philosophy student should stumble across this, please forgive my naivete. A ‘situation‘ represents the world as it is now. This is the status quo – but also the ground on which radical change can take place. Within this world as it exists ‘knowledge‘ describes how we think that world works. The ‘void‘ of a situation is the blind spot of the status quo. Something that exists as a gap or a hole that does not form part of existing knowledge. The world as it is does not see this void and cannot address it. An event ‘forces‘ knowledge to change, causes both a rapid and a radical development of what we think we know about the way the world works. The ‘subject‘ is then not an isolated individual or some kind of subject of history. Rather subjects are ordinary individuals who are faithful to an event and to the truth it brings into being. They then cease to be ‘mortal’ individuals and instead realise their potential to be ‘immortal’. Despite the slightly opaque language I read this as reflecting the impact of the radical break represented by an event, something that changes how people see the world and react to it. For example, after the Russian Revolution, for a long time the working class outside Russia saw their struggle within capitalism in a different light. This subject therefore does not exist before the event. ‘Fidelity‘ represents the ongoing and continuing break in the situation. Subjects who stay true to the event are faithful to it, and their fidelity is what drives the truth-process. ‘Truth‘ and a ‘truth-process‘ is then a description of the complete process. That is subjects acting in the situation but faithful to an event which drives radical change. Truth is used in the sense of ‘holding true’ to something. There are four specific categories which Badiou sees as being subject to this procedure: politics, art, love, and science, and it is possible fairly easily to think of examples of ‘events’ and the influence that they hold over subsequent history – the revolutions of 1789 and 1917 being the most obvious in the political arena where you can see their influence echoing through subsequent history well beyond the actual historic events. The influence of both revolutions on subsequent radical struggle is clear to see. I think this way of thinking provides a powerful way of describing progressive movements and how the driving forces behind radical change are created and perpetuated. 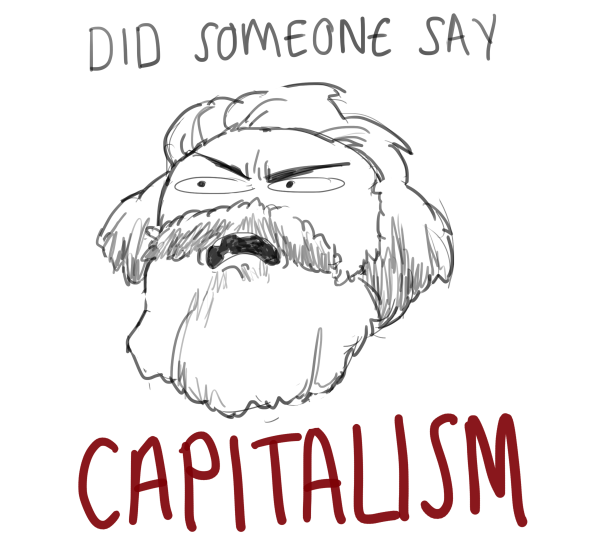 Time to re-read Badiou’s “The Communist Hypothesis“. This entry was posted in Philosophy and tagged Philosophy on March 9, 2018 by 4harrisons.